Panama Canal Tours, Panama Marine Adventures. Pacific Queen. Leaders in Panama Canal Tours. Welcome to Panama Marine Adventures! 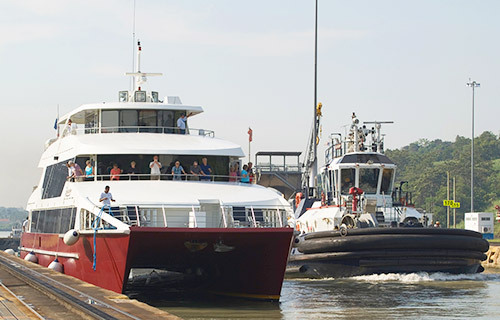 We offer small ship cruises for travelers that have an appreciation for our Panama Canal. We offer Panama Canal Tours and City Tours all year long. 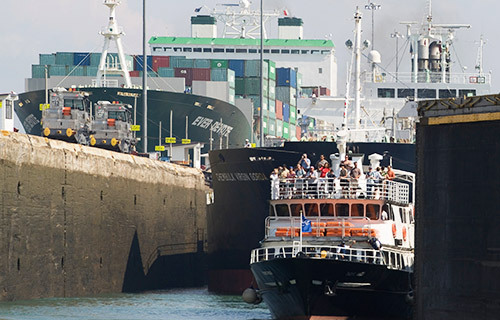 More than 200,000 passengers have experience the Panama Canal with us. A journey in the Discovery is a feast of intense, sensory experiences along Panama’s inter-oceanic route. The best way to experience and have the unique opportunity to see the Canal up close in operation is onboard the Pacific Queen. Panama Marine Adventures was stablished in 2003 with the strategic vision of creating and developing high quality leisure products for the tourism industry that take advantage of the special relationship that Panama has with the oceans.